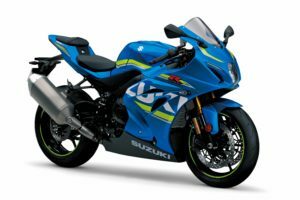 Suzuki Auto South Africa is going to be issuing a recall of all 2017 GSX-R1000 and GSX-R1000R models. There is a risk of selecting neutral when changing from first to second gear. This can result in damage to the chain and sprockets. To counter this we are going to be replacing the ECMs on these motorcycles and conducting inspections of chains and sprockets. 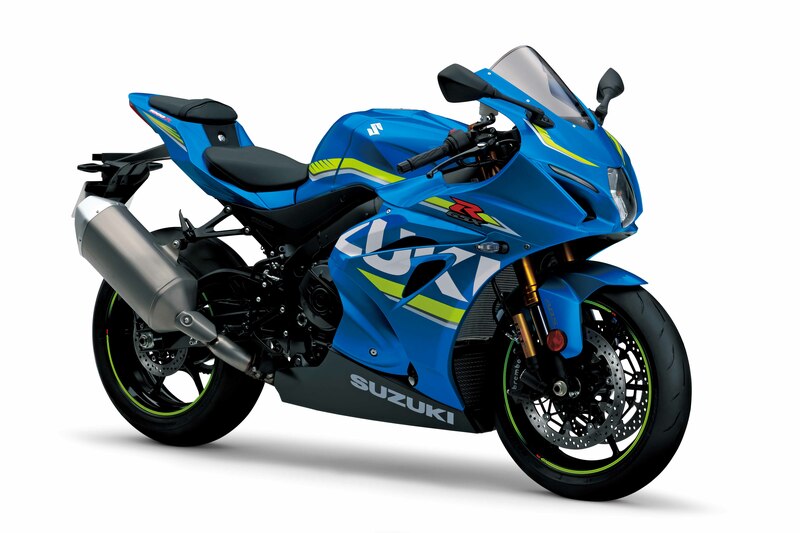 Until the recall has been carried out, all GSX-R1000 and GSX-R1000R sales have also been put on hold and all current owners have been advised to either stop riding their bikes or ride them with care. The Implementation date of the recall is still to be announced. We apologise for any inconvenience caused for more information you can contact Errol Quan Chai at errolq@suzukiauto.co.za or visit your nearest authorised Suzuki Dealer. To find an authorised Suzuki Dealer close to your area please visit www.suzukimotorcycle.co.za. The post The MAXSYM 600i ABS appeared first on SYM South Africa. Inner City or inter-city; the urban grind or the open road; the MAXSYM 600i ABS has it all covered. All the convenience of a twist-and-go maxi-scooter plus the performance to keep up with modern traffic and shrink distances; it’s your ideal partner on any road. Powered by a fantastically smooth 565cc engine producing 45bhp and 47Nm of torque, the Maxsym 600i ABS has that perfect balance of performance and economy that makes it so easy to handle around town but provides an exhilarating ride when the open road beckons. Keeping the performance in check is a powerful twin-disc-brake set up on the front wheel which, combined with the latest Bosch 9 ABS system, provides smooth, progressive and safe braking. Comfort for rider and pillion is second-to-none, with a large stepped seat, passenger backrest and adjustable windshield to accommodate any rider. Comprehensive instrumentation keeps the rider informed while LED lighting front and rear makes you supremely visible in any conditions. Practicality hasn’t been forgotten, either. There’s a large under seat storage space that can hold enough luggage for a weekend away or a full-face helmet, as well as a cubby hole in front of the rider’s knees, containing two power outlets for charging phones or satnav units. The MAXSYM 600i ABS is that rarity among motorcycles; a thoroughly practical machine with a healthy dose of excitement, safety, style and practicality. Van de Sande and Kawasaki champions! The post Van de Sande and Kawasaki champions! appeared first on . Axel Van de Sande and Kawasaki clinched the French Beach race Championship this weekend at le Touquet after a strong and consistent season. In their first official involvement in the French Beach race Championship Kawasaki was rewarded with the title as Belgian Axel Van de Sande was the most consistent rider of the series. The 24-year-old came to the final round as series leader and he overcame adversity to clinch the title after a race which presented a tough challenge both for him and teammate Timothée Florin. Even though it didn’t rain during the weekend the sand was wet and heavy for this final round of the series and the three hour race was tough on both the riders and the bikes due to the severity of the sand obstacles. Neither Axel nor Tim were at the front at thefirst corner after the long, fast six kilometre straight, but both regained positions consistently and after the first hour of racing Axel was tenth while Tim had entered the top fifteen. With 1200 riders on the track it was not always easy to find clean lines and to maintain a good rhythm amongst the slower riders and during the second hour of racing Tim collided with a lapper and damaged the pipe; he tried to continue but after one more lap the damage was clearly too severe and he was forced to retire. A few laps later it was Axel’s turn to be delayed by race incidents as he twice crashed with lappers who were in his path; despite losing time to restart he remained in the top ten but he received a post-race penalty as he pushed the bike across the finish line. Axel was thus classified twenty-third but it was good enough to retain the series lead and claim his first national title. Author Crescent BikesPosted on 30 January 2018 Categories Motorcycle NewsTags News & FeaturesLeave a comment on Van de Sande and Kawasaki champions! The post Positive KRT European Winter Tests Now Complete appeared first on . KRT’s WorldSBK riders Jonathan Rea and Tom Sykes completed their final days of European winter testing in Portugal today, with just two more days of testing in Australia to take part in before the start of the new season, at the end of February. Rea was fastest on both days of action at Portimao, with his opening session 1’41.475 the best overall time. Sykes set his personal best time of 1’41.952, also on the less windy first day of action. Track conditions became both more blustery and dustier on day two, to the extent that Rea and his technical crew opted to stop for a while in the middle of the day. They restarted near the end of the available time to complete the evaluation of the last few items on their overall testing planSykes was not in a position to push for a fast lap time near the end of the test but was happy to have completed his schedule of work and also set a good race pace on used tyres. With new technical rules introduced this season, limiting all Kawasaki riders’ engines to a maximum of 14,100rpm at the start of the year, much of the winter test programme has been concentrated in this area, with positive outcomes thus far. Rea and Sykes will head to Australia in confident mood for the opening round, to be held between 23rd and 25th February. The next appointment for the entire KRT squad will be the team launch on February 8th in Barcelona. Then the final testing action will take place on 19th and 20th February, at Phillip Island. As time went on the track started to dry out, allowing the riders to switch to slick tyres and try some new parts and settings. During the second part of the afternoon, Alex Rins – who put in consistently good lap times – was able to compare a couple of different engine configurations, which gave him good feelings and allowed him to build his confidence. He was able to test during the rain, the mixed conditions, and the dry.